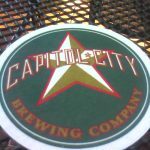 I had the serendipitous opportunity to visit the Capitol City Brewing Company’s Shirlington, VA location last week. 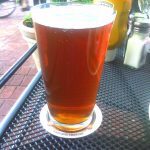 This award-winning brewery has three locations throughout the DC area and I think I lucked out with the Shirlington location. 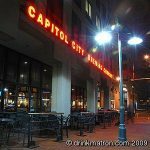 This brewpub is located on the trendy Village of Shirlington Promenade, where nearly every restaurant has sidewalk seating and there are so many trees that you get a lazy, relaxed feeling while walking around. 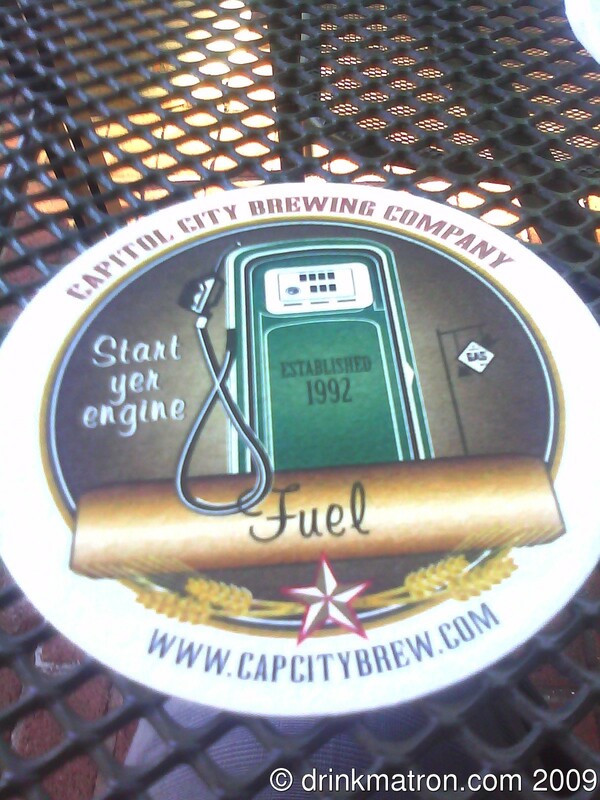 The Cap City Brew Co. was no exception to this and I took such advantage that I never actually saw the inside of the building. 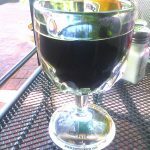 They have a full compliment of food and booze with a happy hour from 4-7pm every day. But that’s not really why I went. I, of course, went for the beer. 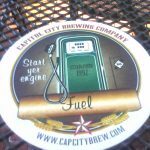 On tap last week they had six beers, their four standard faire beers (Capitol Kolsch, Pale Rider Ale, Amber Waves Ale, and Prohibition Porter) and two seasonals (Fuel and ESB). 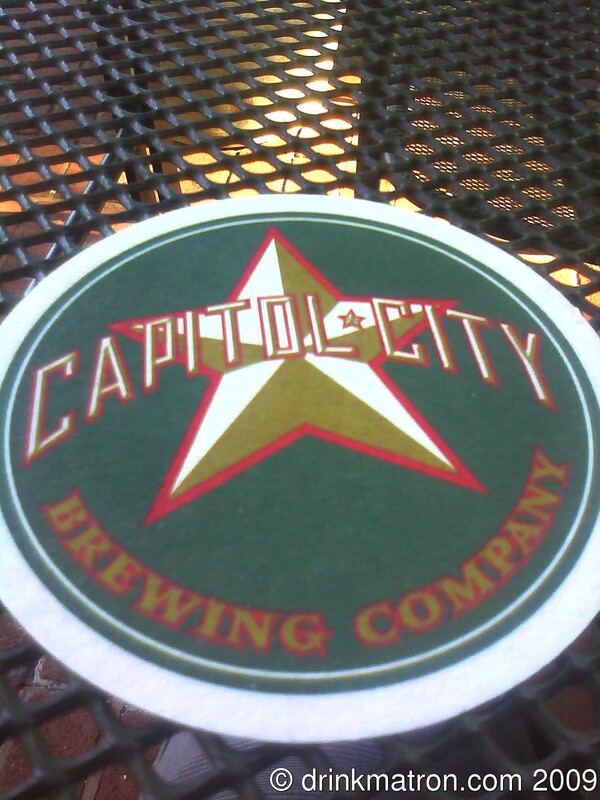 2006 Gold Medal at GABF for Capitol City. 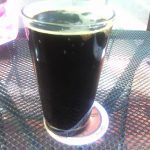 English style imperial stout. 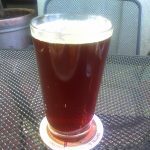 Blended with 10 lbs of Sumatra coffee, this ale has a full body and medium bitterness. A big coffee aroma rounds out the finish. 10% ABV. 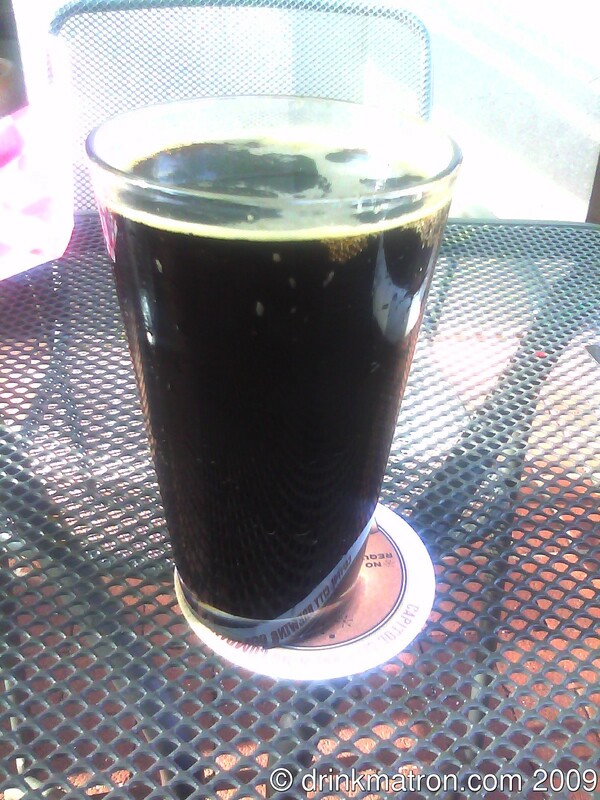 My informed and entertaining waiter Gino described this as a “Pale Stout with a 10% kick”. 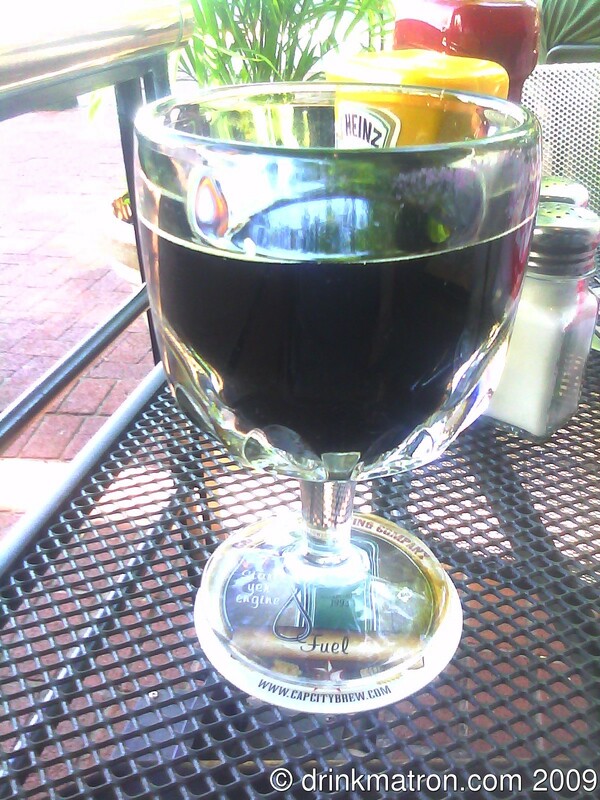 This is a very dark beer with a luscious brown head that had my mouth water as soon as it was set on the table. I didn’t want to take notes on the look or smell of it, I wanted to dig right in. You can definitely smell the coffee in it, though the aroma isn’t overpowering or particularly pungent. It has a distinct smooth, roasted flavor (from the coffee obviously) while the finish has a sharp, spicy, bite. To be honest, if I wasn’t trying a variety of beers, I would have stuck with this one for the night for sure. Gino (you gotta love Gino) called this one “the little brother to Fuel.” He said that if you liked Fuel but thought it was too strong, this would be the beer for you. 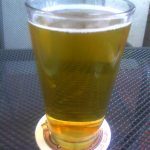 The smell was really tight – I practically had to stick my nose in the beer just to smell it – but once you got a whiff it was very fruity and hoppy. 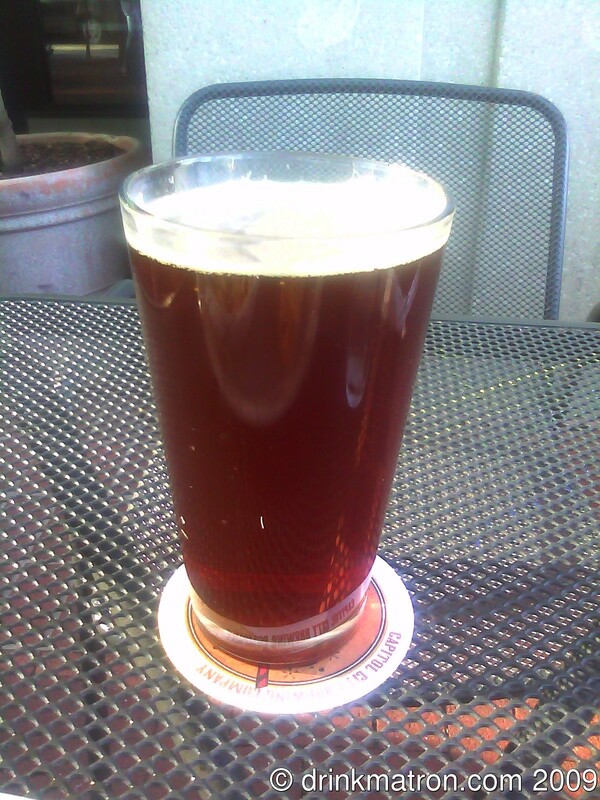 It had a very smooth, earthy flavor and was a little spicy on the long aftertaste. Like the burn you feel in your throat after eating fresh jalepenos. I had ordered some keg rolls (a Capitol City specialty) and let me tell you, you couldn’t pair this beer with anything more perfectly. In fact, I wouldn’t eat the keg rolls without this beer because they just seem bland in comparison. I’ll be honest, I shouldn’t have had this beer after the Fuel and the Pale Rider. It was not nearly as strong in flavor or aroma as either of the previous beers and so I really didn’t get anything from it. I really couldn’t smell anything, despite trying for a few minutes to catch a whiff of anything (I seriously think the other patrons thought I was off my rocker by this point). It had a really smooth (almost too smooth) texture that reminded me of day old flat beer. 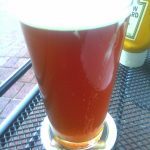 The initial flavor was super malty and reminded me Olde English 800 and finished with a strange sweet/sour flavor that is similar to over-ripe bananas. The Prohibition Porter was a tasty start to Round 2 of the tastings. It had a nutty smell like fresh walnuts. The texture was crisp in that thirst-quenching sort of way. It had a nice sharp taste that finished smooth with the same nut taste as the smell. To be honest, I had assumed that this beer would be a Killian’s clone that tried a little too hard to taste like Killian’s. But who am I kidding? If I’d learned anything by this point, it was that Cap City is good at making unique beers. There was an earthy smell like dirt after a rain storm. 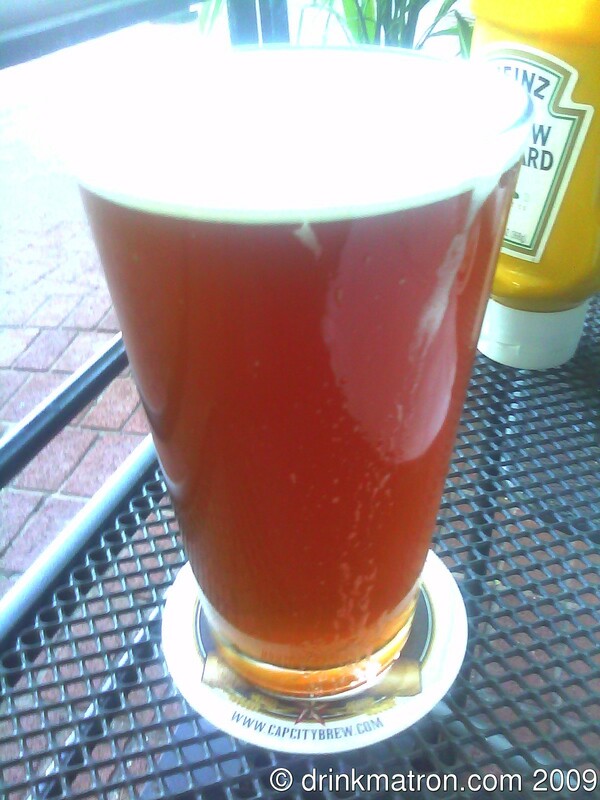 It had an earthy taste (almost mildewy) mixed with a fruity flavor. I don’t think there’s really anything to say about this beer. 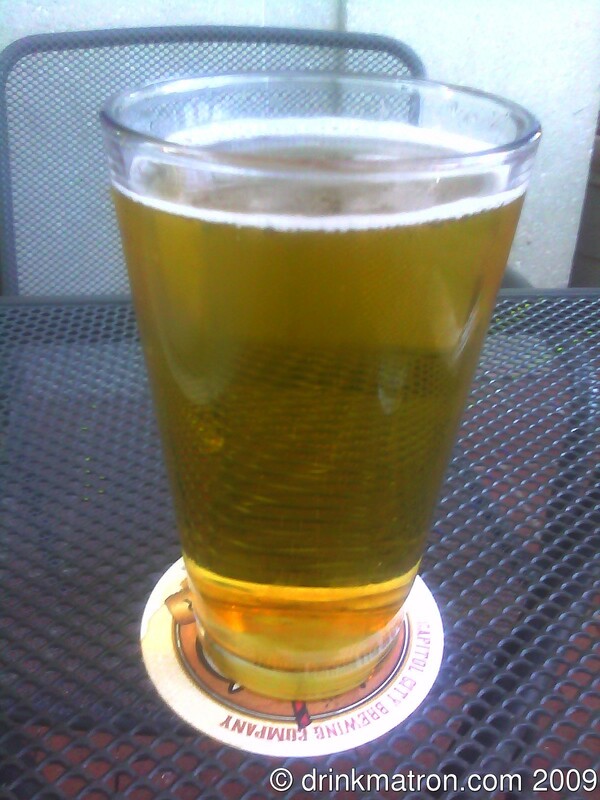 It is a typical golden ale. This would be the beer to suggest to your Bud drinking friends. 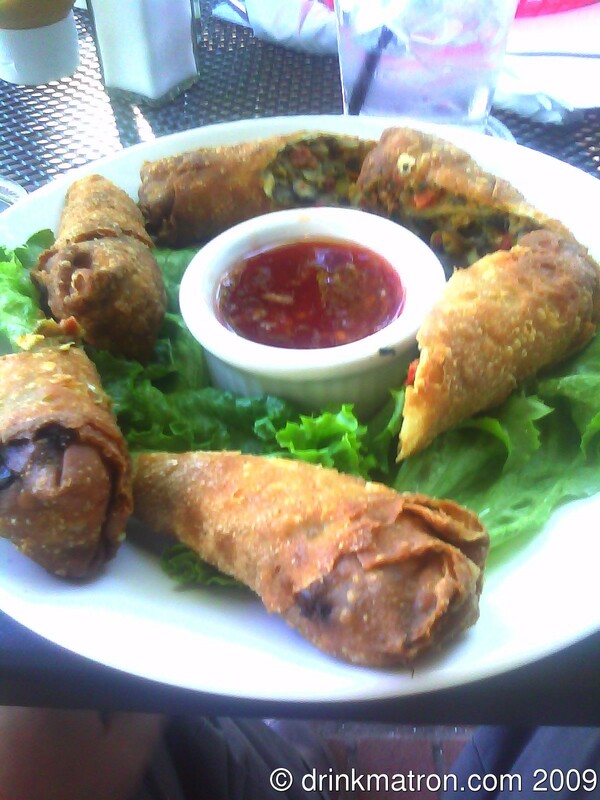 Chicken, corn, tomatoes, cabbage, black beans and mozzarella cheese wrapped in a flour tortilla and deep fried served with sweet thai chili dipping sauce. 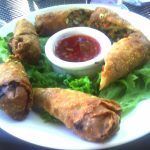 They taste like bean dip egg rolls with a sweet raspberry-like sauce. 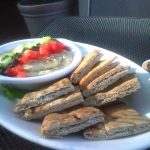 Homemade hummus topped with tomato, cucumber and kalamata olives, finished with olive oil and cracked pepper and served with grilled wheat pita wedges. This has got to be some of the best hummus I’ve ever tasted. 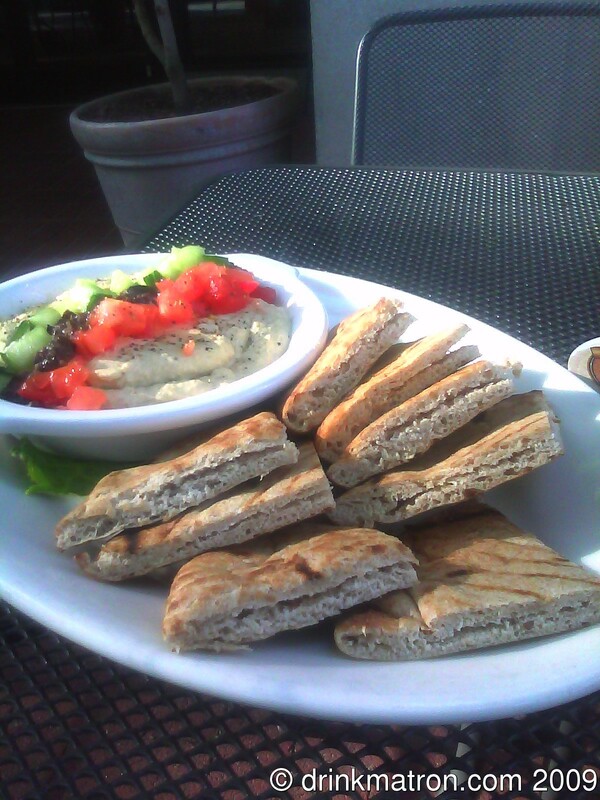 I finished off the pitas and ate the rest of the hummus with a spoon. 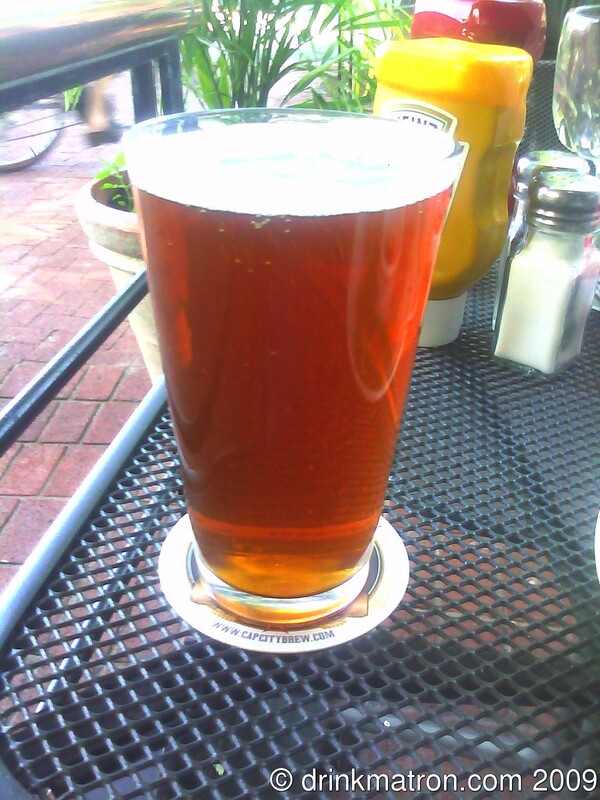 Previous What is American Craft Beer Week? Next When does a craft brewery stop being a craft brewery?